One-size-fits-all diets don't work, says Platkin. The way to lose weight and keep it off, he explains, is to understand ""your individual fat pattern."" In this refreshing guide to dropping pounds, readers learn how to assess their own bodies and whatever mental approaches they may have to dieting. As they move through Platkin's 10 steps, they will learn to recognize their ""diet traps"" (maybe it's social eating or comfort eating), stop making excuses, craft a weight-loss strategy and stick to it. Platkin (Breaking the Pattern: The Five Principles You Need to Remodel Your Life) has not come up with a groundbreaking approach to losing weight; on the contrary, his approach is blessedly jargon-free and commonsense. 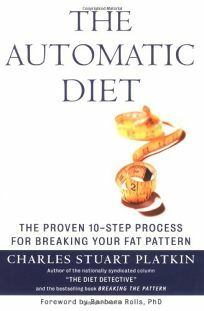 Reading this book should help readers identify their negative eating patterns so that they can break them and replace them with healthier ""automatic"" ones.